Nanoparticles synthesis (metal and metal oxides). 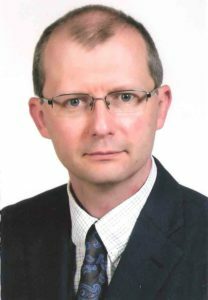 2017 – 2018 : Full Professor, Tallinn Univ. of Tech., Tartu College, Estonia, and Head of the group “Nanotechnologies and Materials Science” (01/2014 – 08-2018). 2000 – 2003: PhD Student (MENRT), University of Caen, CRISMAT, France. – Mr. Siim Kuunal (2013-14): Metal nanoparticles synthesis applied to green housing (score: A). – Mr. Martin Saalumaa (2014-15): Hybrid nanomaterials for photovoltaic applications ( A). – Mr. Arnaud Behr (École Centrale de Lille) (2017): “Study of water purification using metal nanoparticles” (3 months). « Special Issue on Silver Nanoparticles: Synthesis, Properties and Applications. » P. Rauwel, E. Rauwel, S. Ferdov, M. Singh Advances in Materials Science and Engineering_Hindawi Volume 2015, Article ID 624394, 1-2 (2015) [REF]. « Influence of the interface on the photoluminescence properties in ZnO carbon based nanohybrids. » E. Rauwel, A. Galeckas, M. Rosário Soares and P. Rauwel J. Phys. Chem. C 121, 14879-14887 (2017) [REF]. « A review of the synthesis and photoluminescence properties of hybrid ZnO and carbon nanomaterials. » P. Rauwel, M. Salumaa, A. Aasna, A. Galeckas, E. Rauwel Journal of Nanomaterials_Hindawi Volume 2016, Article ID 5320625, 1-12 (2016) [REF]. « Photocurrent generation and structural study of hybrid nanocomposite combining carbon nanotubes and cubic HfO2 nanoparticles. » P. Rauwel, A. Galeckas, M. Salumaa, F. Ducroquet and E. Rauwel Beilstein Journal of Nanotechnology 7, 1075–1085 (2016) [REF]. « Metal oxide nanoparticles embedded in rare-earth matrix aimed to low temperature thermal imaging applications. » E. Rauwel, A. Galeckas, P. Rauwel, P.-A. Hansen, D. Wragg, O. Nilsen and H. Fjellvåg Materials Research Express 3, 055010 (11 pages) (2016) [REF]. « One Step Synthesis of Pure Cubic and Monoclinic HfO2 Nanoparticles: Effects of Temperature and Ambient on the Photoluminescent Properties. » P. Rauwel, A. Galeckas and E. Rauwel ECS Trans. 64, (44) 19-28 (2015) [REF]. « Photoluminescent cubic and monoclinic HfO2 nanoparticles: effects of temperature and ambient.» E. Rauwel, A. Galeckas and P. Rauwel Materials Research Express 1, 015035 (2014) [REF]. « Recommended reading list of early publications on atomic layer deposition—Outcome of the “Virtual Project on the History of ALD”. » E. Ahvenniemi et al., (62 co-authors) J. Vac. Sci. Technol. A 35(1), 010801 (2017)[REF]. « One step synthesis of pure cubic and monoclinic HfO2 nanoparticles: Correlating the structure to the electronic properties of the two polymorphs. » P. Rauwel, E. Rauwel, C. Persson, M. F. Sunding, A. Galeckas J. App. Phys. 112, 104107 (2012) [REF]. « Response to Comment on “Unusual photoluminescence of CaHfO3 and SrHfO3 nanoparticles.” » E. Rauwel, A. Galeckas, P. Rauwel, D. Wragg Adv. Func. Mat. 22(6), 1114-1115 (2012) [REF]. « Unusual photoluminescence of CaHfO3 and SrHfO3 nanoparticles. » E. Rauwel, A. Galeckas, P. Rauwel, H. Fjellvåg Adv. Func. Mat. 22(6), 1174-1179 (2012) [REF]. « Precursor-Dependent Blue-Green Photoluminescence Emission of ZnO Nanoparticles. » E. Rauwel, A. Galeckas, P. Rauwel, M. F. Sunding and H. Fjellvag J. Phys. Chem. C 115(51), 25227 (2011) [REF]. P. Rauwel and E. Rauwel «Probing the Electronic Structure of HfO2 polymorphs via Electron Energy Loss Spectroscopy.» Published in Microscopy Book Series#6 (Ebook) “Microscopy: Advances in scientific research and education”, Applications in Physical/Chemical Sciences_Electron Microscopies, A. Méndez-Vilas Ed., Formatex Research Center (2014) [REF]. P. Rauwel and E. Rauwel «Stabilization of higher symmetry HfO2 polymorphs as thin films and nanoparticles. » Published in ”Hafnium: Chemical Characteristics, Production and Applications” edited by Nova Science Publishers, inc. Chap. 4, p 77 – 111 (2014) [REF].